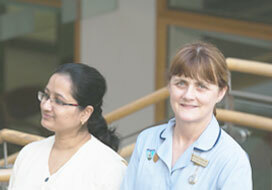 New Graduate Nurses Open Day – Tuesday 30th April. Join us between 4-7 pm to speak to nursing teams from all clinical specialties. If you are already an employee of St. Vincent’s University Hospital, please respond to any current vacancies via MyView. St. Vincent’s University Hospital is proud to bring together a tradition of excellence in clinical care, research and education and a commitment to innovation so we can deliver the highest standard of care to our patients. We are always on the lookout for talented individuals with the ambition to make a real impact on our future – as we continue to drive major change in the health service. Please contact us if you have any queries in relation to vacancies at St. Vincent’s University Hospital, or require any help with your application. Please note we cannot accept paper CV’s, all applications must be made online. Existing employees of St. Vincent’s University Hospital should apply to MyView.